Sgt. Derrick A. Popham, a 29-year-old rifleman from Six Mile, S.C., observes Iraqi soldiers patrol during Operation Sidewinder in Sadiquiyah, Iraq, Aug 1. 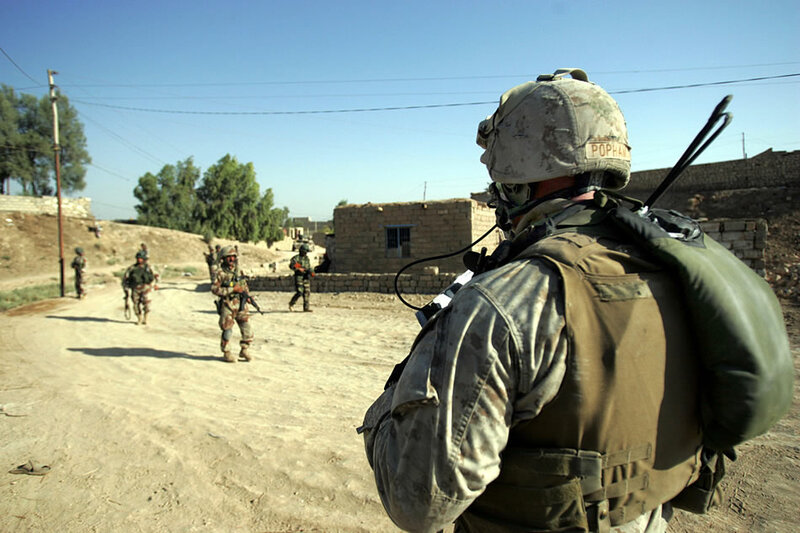 Popham and other Marines and sailors with 3rd Battalion, 2nd Marine Regiment played a supportive role while Iraqi soldiers of 3rd Brigade, 1st Iraqi Division conducted a cordon and search to interupt insurgent activity in the area. Popham serves under Regimental Combat Team 5 and is conducting operations in the Habbaniyah area.